I just love this fabric line - so soft and sweet! 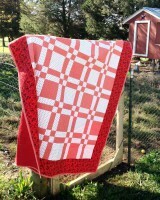 This quilt was made from a pattern by Mack and Mabel called Picnic in the Park. I chose to use the softest butter yellow for the solid, and topped it off by making the backing a butter yellow fleece. 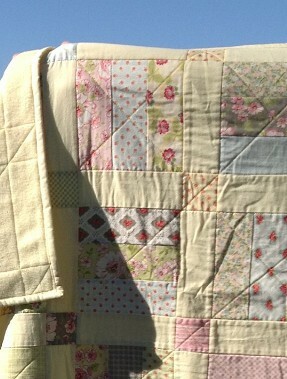 It is quilted in the ditch for a grid, then diagonally to anchor everything to a soft back. 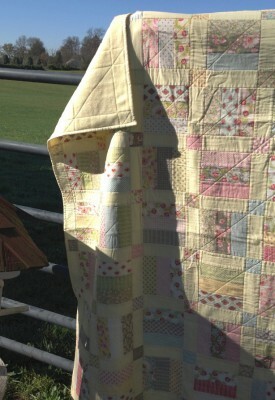 This quilt is super soft in every way, and is a generous size to use as a lap quilt or a sofa or daybed throw. 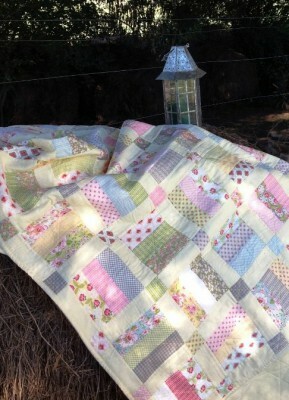 Perfect for a picnic or for a cuddle by the fire.